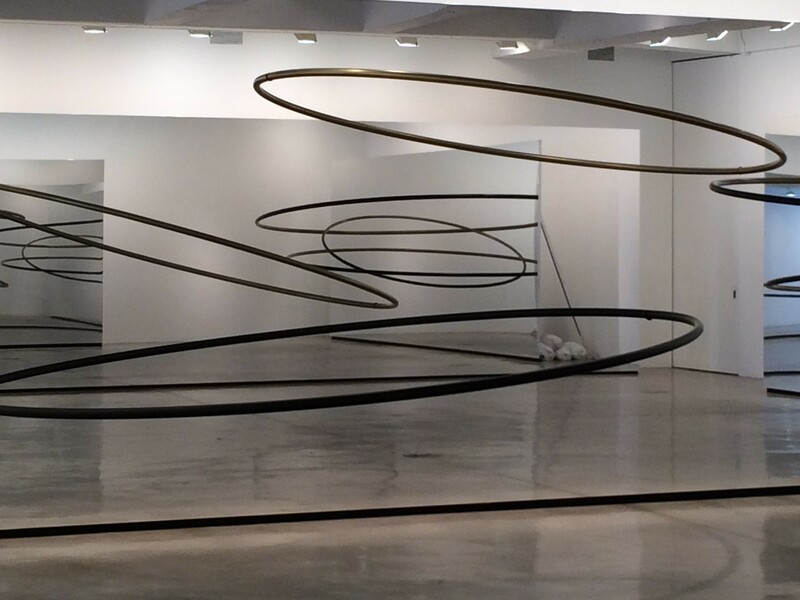 “The listening dimension” , Olafur Eliasson’s current solo exhibition at the Tanya Bonakdar gallery, features a series of new interactive installations. The aesthetic qualities of each work changes as the viewer moves within the space. The main room of the gallery features large mirrored walls. From a distance there appears to be a series of metal rings suspended, but as you get closer the rings are actually semi-circles attached to the mirrored wall. The physicality of the partial circles are made whole through the illusion of reflection. 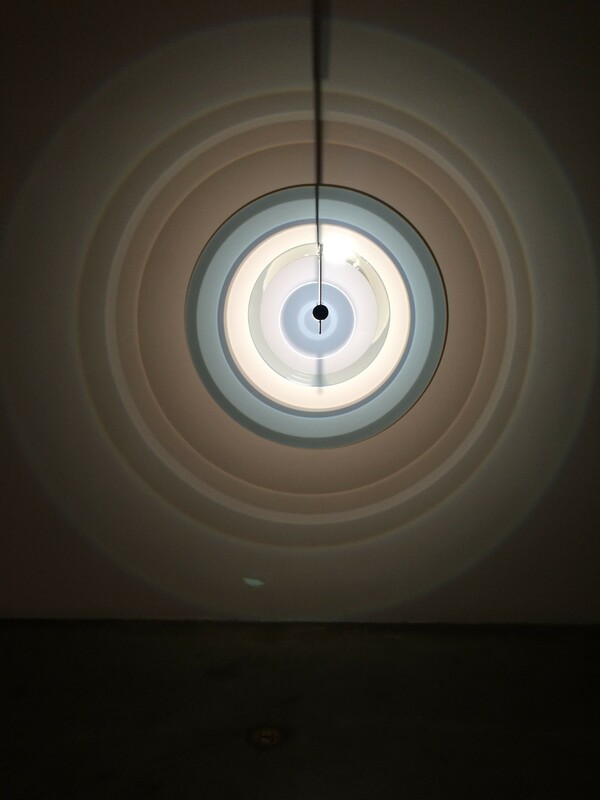 On the second floor of the gallery there are some light installations from Eliasson’s “Space resonates regardless of our presence” series, featuring concentric circles of light and shadow the sources of which reveal them self as you walk next to the instrumentation installed in the gallery. The work in this show is about how perception changes with location. Though using basic geometric forms, circles, the optical manipulations are more significant.